Trash and debris accumulates under the 60 Freeway along Whittier Blvd. Sahra Sulaiman/Streetsblog L.A. 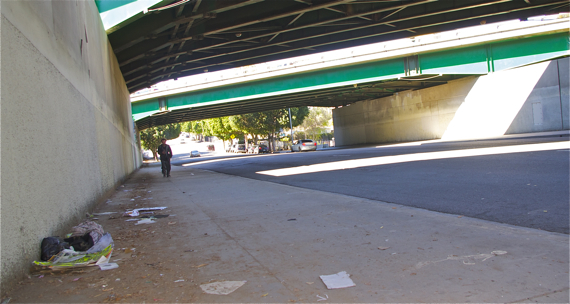 Complaints about the condition of Whittier Boulevard are common among youth that regularly walk from the southern end of Boyle Heights to Roosevelt High School and back. And they’re only one of several groups of schoolkids that must cross and/or move along Whittier on a daily basis — a handful of schools and recreational centers straddle the three-quarters of a mile between Lorena and Soto Streets. The fast-moving and heavily trafficked boulevard serves as a cut-through connection for those commuting or transporting goods between East L.A., downtown, and beyond. So, crossing it on two feet can be hazardous. Drivers tend not to slow down for folks trying to use the crosswalk at Orme, for example, and can take corners quickly in their eagerness to get to the freeways. The way in which the street alternates almost randomly between industrial, residential, commercial, and school zones can make things even more uncomfortable for pedestrians. Some sections of sidewalk are pleasant and active, while others are in poor condition, are poorly lit, and are strewn with debris and trash. Students who must walk the lengthy underpass where the 60 Freeway stretches diagonally over Whittier have reported being disconcerted by feeling so isolated, especially when they have been hassled by homeless folks struggling with mental health and/or substance abuse issues. The street could use some help, in other words. And help appears to be on the way. 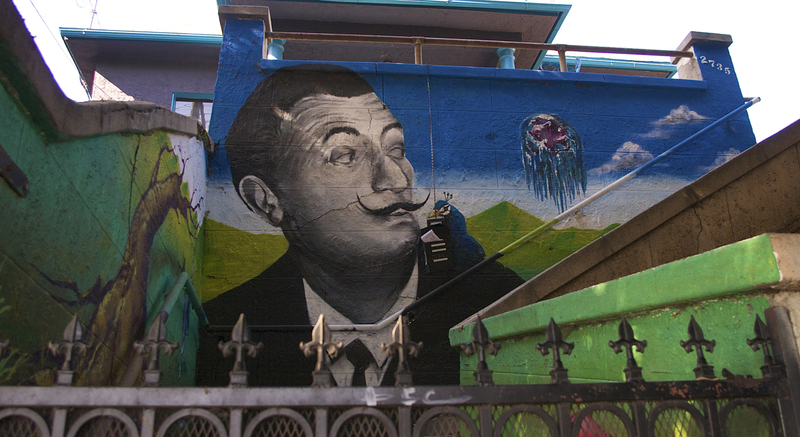 On January 20, the City Council approved Councilmember Jose Huizar’s motion to use up to $1 million in bond monies to launch a redesign of the corridor between Boyle Avenue and Indiana Street. It’s an investment that is long overdue. Unfortunately, when the CRA was finally dissolved in 2012, so was the ability of the project to move forward. And the money for long-awaited improvements slated for Whittier and Cesar Chavez was suddenly out of reach. While Huizar and the city were able to secure funds for improvements along Cesar Chavez (to be implemented beginning in 2017), funds for improvements along Whittier had remained elusive. For this reason, in October of last year, when Huizar introduced a motion to council asking that $1,000,000 in excess bond funds from the CRA/LA be used both for improvements that would make the corridor friendlier for all modes of transportation as well as extensive community outreach and the pursuit of grant funding so that a wider set of improvements could be implemented. The motion passed through the Economic Development committee on January 16 and was approved by the full council on January 20. What will come next is unclear. Because there had been an effort underway to design improvements prior to the dissolution of the CRA, there had been some outreach conducted along the corridor as well as a study by an Urban Land Institute (ULI) Technical Assistance Panel in 2010. Their recommendations include giving the unique sections of the corridor their own identity: a gateway to Whittier Blvd. at Boyle; amenities, job training, and recreational facilities that will help formalize an “educational superblock” at Soto; an enhanced commercial environment at Lorena; and a gateway to Boyle Heights from East L.A. at Indiana. And art. Could we please have some community-driven and community-made art? Sahra Sulaiman/Streetsblog L.A.
What is clear is that the improvements in overall livability along the corridor will be tied as much to enhancing safety and infrastructure along the street as they will to the arrival of jobs, affordable housing, and other investments in the existing community and residents. But the pedestrian environment is a good place to start. 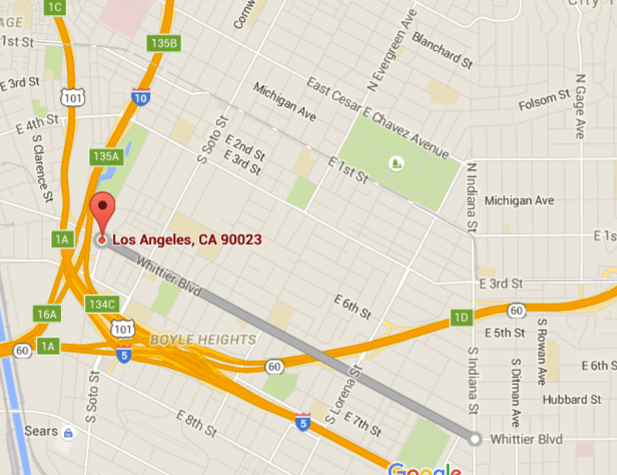 If it’s not in the new “East Side” (East Hollywood, Silver Lake, Echo Park etc.) where all the “Complete Streets” activists live, the Mayor don’t care. “homeless folks struggling with mental health and/or substance abuse issues.” The P.C. language is impressive !